When it comes to truly classic Superman arcs, there are really only a handful of stories that fit the bill. The Death of Superman is undoubtedly one of those stories. Last year, Warner Bros. decided to try again with a two-part animated adaptation. The Death of Superman managed to pull off the first part of the story in a convincing way, even though Superman himself remained slightly underdeveloped by the time that the credits rolled. Reign of the Supermen begins a few months after The Death of Superman while introducing four distinct Superman-esque figures. There’s Superboy, a cocky clone of Superman with an unwitting secret; and Steel/John Henry Irons, an iron-clad version of Superman. 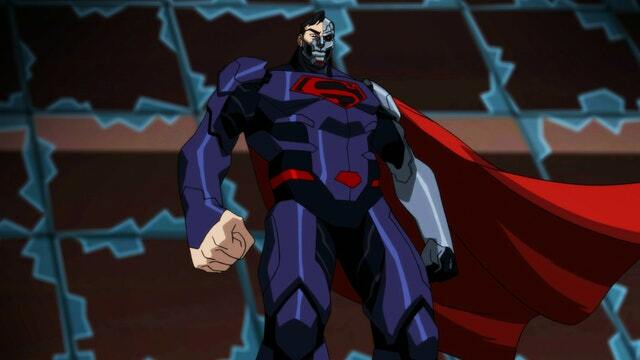 There’s also the Cyborg Superman, a half robotic doppelgänger of the Man of Steel. Finally, there’s the Eradicator, a visor wearing version of Superman that has no time or interest in human emotions. While each of these characters are vying to be the new Superman, they all have their own vested interests. As Lois Lane mourns the loss of Clark Kent, the world tries to make sense of these new heroes. While The Death of Superman was co-directed by Sam Liu and James Tucker, Liu helms Reign of the Supermen with Tucker producing. With this film, Liu continues to prove that he’s the best-kept secret of the modern DC Animated Universe. He has a clear affinity for the source material, offering a more encompassing and faithful version of the story than Superman: Doomsday. It was a smart move to split the story into two parts. That allowed Liu to have a lot more fun exploring the various character motivations. There were even some great comedic moments along the way. Cameron Monaghan (Gotham) gives a wonderfully cocky voice performance as Superboy. Steel, who is voiced by Black Lightning’s Cress Williams in a crucial, but solid performance nonetheless. Patrick Fabian and Charles Halford voice Cyborg Superman and the Eradicator, respectively. But despite a good showing for themselves, neither Fabian nor Halford were given much to do in Reign of the Supermen. 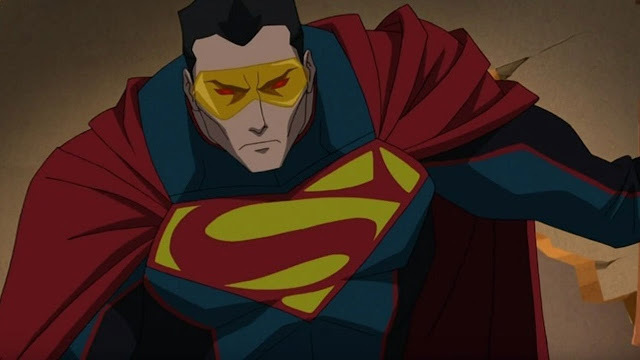 The screenplay for Reign of the Supermen is a largely faithful interpretation of the comic arc. Screenwriters Tim Sheridan and Jim Kreig also tried to accomplish too much within the film’s 90-minute runtime. Most of the first act explores the effect that Superman’s loss has on Metropolis. But there’s never enough characterization for any of the players to feel fully fleshed out. There some occasionally great character moments, but the film seems to put a priority on plot over characterization. The various doppelgängers in Reign of the Supermen each represent certain traits of Superman, just taken to the extreme. While these characters get to the heart of the film’s thematic core, they also end up suffering from a rushed plot that ends up forgetting to justify why Superman even returns to begin with. 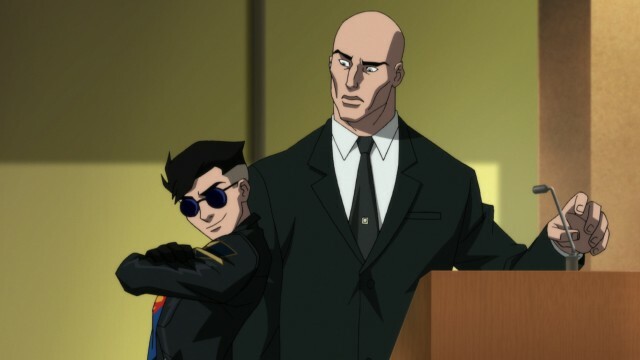 The animation in Reign of the Supermen is crisp and detailed, offering a fluid approach to the story. The animation never gets in the way of telling the story, which makes this adaptation feel distinct. Similarly, the action in the film is easily one of the highlights. A set piece early in the first act offers dynamic action that manages to set up all of the Supermen’s abilities in a clear and concise way. 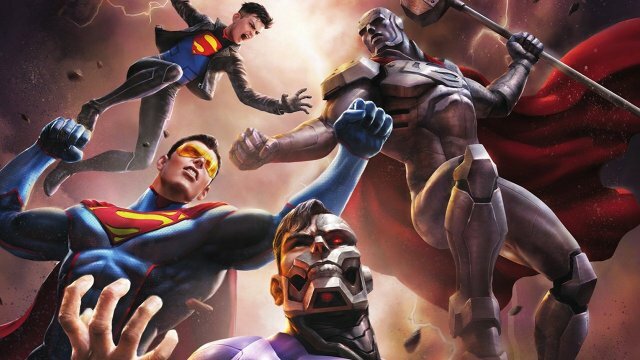 Reign of the Supermen provides some great action all around, but the standout sequence features both the Justice League and the various Supermen in combat. This enthralling set piece perfectly encapsulates everything the film does right. RELATED: Is Henrey Cavill Done Playing Superman? Although DC is still figuring out how to make successful live-action movies, there’s no doubt that they’ve mastered the superhero animation market. This film demonstrates that it really is possible to make faithful adaptation of a classic comic story. And it does so without being completely subservient to the source material. Unfortunately, the script tries to stuff too many characters into a relatively short runtime. Even so, the direction, animation, and overall tone of the film are very well done. Reign of the Supermen may not have fully explored some aspects of its story, but its flaws are minor when compared to what it accomplished.